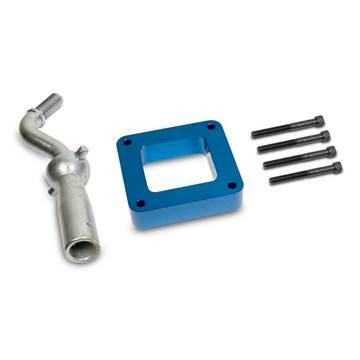 Reduce the amount of shifter throw needed on 5-Speed NV4500 manual transmissions for your 1998.5-2003 Dodge Cummins 5.9L (and HEMI) with this kit from BD Diesel! 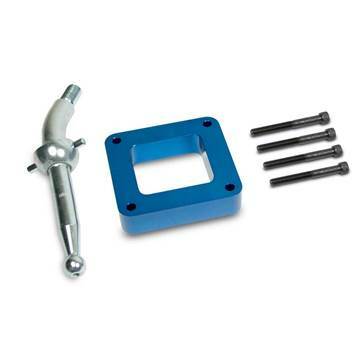 Reduce the amount of shifter throw needed on 6-Speed NV5600 manual transmissions for your 1999-2002 Dodge Cummins 5.9L with this kit from BD Diesel! 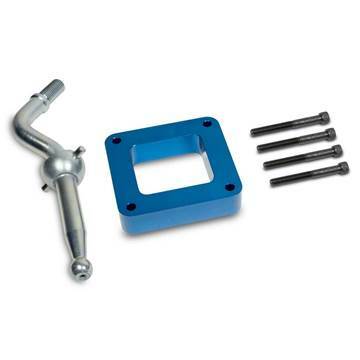 Reduce the amount of shifter throw needed on 6-Speed NV5600 manual transmissions for your 2003-2005 Dodge Cummins 5.9L with this kit from BD Diesel! This Heavy Duty Clutch kit from South Bend Clutch fits Dodge Cummins 5.9L diesel trucks with the following transmissions - Getrag 5-spd (1988-1993) and NV4500 5-spd (1994-2004) and NV5600 6-spd NON-HO (1999-2004). Rated for Stock HP and torque. No Flywheel included. 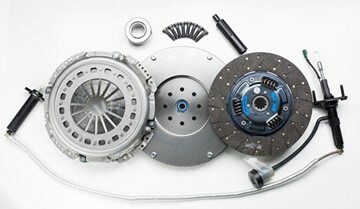 This Heavy Duty Clutch and Flywheel kit from South Bend Clutch fits Dodge Cummins 5.9L diesel trucks with the following transmissions - Getrag 5-spd (1988-1993) and NV4500 5-spd (1994-2004) and NV5600 6-spd NON-HO (1999-2004). Rated for up to 400hp and 800 lbs-ft of torque. 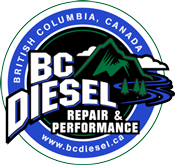 This Heavy Duty Clutch and Flywheel kit from South Bend Clutch fits Dodge Cummins 5.9L diesel trucks with the following transmissions - Getrag 5-spd (1988-1993) and NV4500 5-spd (1994-2004) and NV5600 6-spd NON-HO (1999-2004). Rated for up to 425hp and 900 lbs-ft of torque. 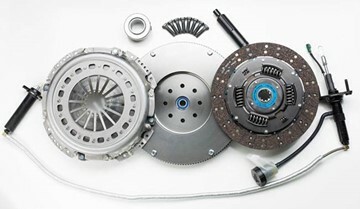 This Heavy Duty Clutch and Flywheel kit from South Bend Clutch fits Dodge Cummins 5.9L diesel trucks with the following transmissions - Getrag 5-spd (1988-1993) and NV4500 5-spd (1994-2004) and NV5600 6-spd NON-HO (1999-2004). Rated for up to 475hp and 1000 lbs-ft of torque. 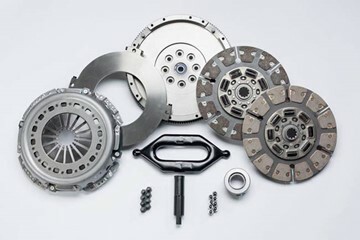 This Heavy Duty Clutch and Flywheel kit from South Bend Clutch fits Dodge Cummins 5.9L diesel trucks with the following transmissions - Getrag 5-spd (1988-1993) and NV4500 5-spd (1994-2004) and NV5600 6-spd NON-HO (1999-2004). Rated for up to 550hp and 1100 lbs-ft of torque. 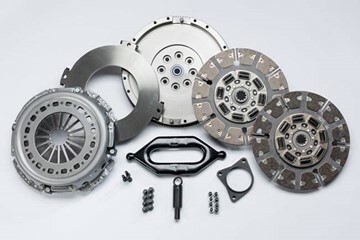 This Heavy Duty DUAL DISC Clutch and Flywheel kit from South Bend Clutch fits Dodge Cummins 5.9L diesel trucks with the following transmissions - Getrag 5-spd (1988-1993) and NV4500 5-spd (1994-2004) and NV5600 6-spd NON-HO (1999-2004). Rated for up to 650hp and 1300 lbs-ft of torque. Not recommended for stock applications. 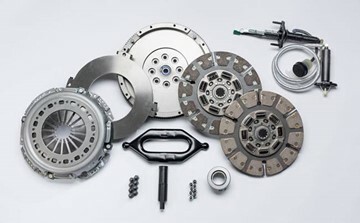 This Heavy Duty DUAL DISC Clutch and Flywheel kit from South Bend Clutch fits Dodge Cummins 5.9L diesel trucks with the following transmissions - NV4500 5-spd (1994-2004) and NV5600 6-spd NON-HO (1999-2004). Rated for up to 650hp and 1300 lbs-ft of torque. Comes with input shaft. Not recommended for stock applications. 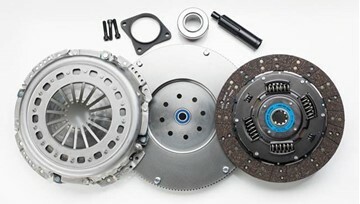 This Heavy Duty Clutch and Flywheel kit from South Bend Clutch fits 2000-2005 Dodge Cummins 5.9L diesel trucks with the NV5600 H.O. (High Output) 6-speed manual transmission. Rated for up to 400hp and 800 lbs-ft of torque. 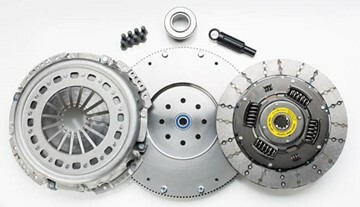 This Heavy Duty Clutch kit from South Bend Clutch fits 2000-2005 Dodge Cummins 5.9L diesel trucks with the NV5600 H.O. (High Output) 6-speed manual transmission. Rated for up to 400HP and 800 lbs-ft of torque. No flywheel included. 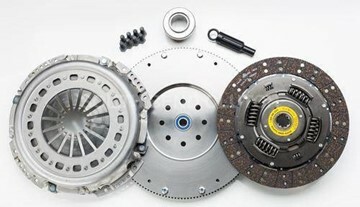 This Heavy Duty Clutch and Flywheel kit from South Bend Clutch fits 2000-2005 Dodge Cummins 5.9L diesel trucks with the NV5600 H.O. (High Output) 6-speed manual transmission. Rated for up to 425hp and 900 lbs-ft of torque. 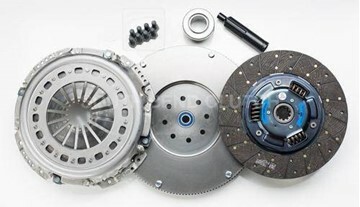 This Heavy Duty Clutch and Flywheel kit from South Bend Clutch fits 2000-2005 Dodge Cummins 5.9L diesel trucks with the NV5600 H.O. (High Output) 6-speed manual transmission. Rated for up to 475hp and 1000 lbs-ft of torque. 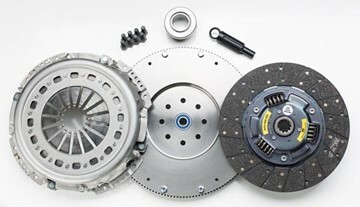 This Heavy Duty DUAL DISC Clutch and Flywheel kit from South Bend Clutch fits 2000-2005 Dodge Cummins 5.9L diesel trucks with the NV5600 H.O. (High Output) 6-speed manual transmission. Rated for up to 650hp and 1300 lbs-ft of torque. Not recommended for stock applications. 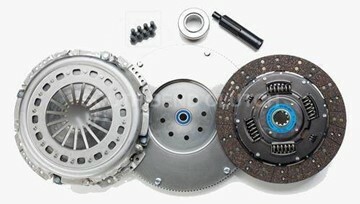 This Heavy Duty Clutch and Flywheel kit from South Bend Clutch fits 2005.5-2018 Dodge Cummins 5.9/6.7L diesel trucks with the G56 6-speed manual transmission. Rated for up to 425hp and 900 lbs-ft of torque. This Heavy Duty Clutch and Flywheel kit from South Bend Clutch fits 2005.5-2018 Dodge Cummins 5.9/6.7L diesel trucks with the G56 6-speed manual transmission. Rated for up to 475hp and 1000 lbs-ft of torque. Comes with upgraded hydraulics. This Full Organic Heavy Duty DUAL DISC Clutch and Flywheel kit from South Bend Clutch fits 2005.5-2018 Dodge Cummins 5.9/6.7L diesel trucks with the G56 6-speed manual transmission. Rated for up to 550hp and 1100 lbs-ft of torque. Includes updated hydraulics. Not recommended for stock applications. 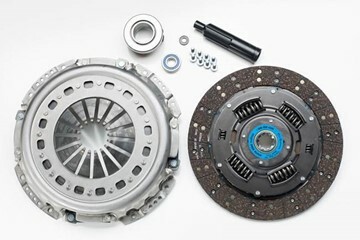 This Half Organic/Half Ceramic Heavy Duty DUAL DISC Clutch and Flywheel kit from South Bend Clutch fits 2005.5-2018 Dodge Cummins 5.9/6.7L diesel trucks with the G56 6-speed manual transmission. Rated for up to 650hp and 1300 lbs-ft of torque. Not recommended for stock applications. Updated hydraulics required but not included. 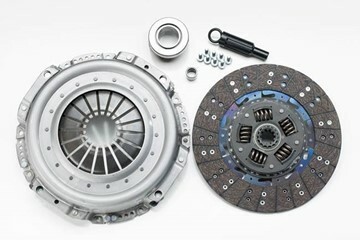 This Half Organic/Half Ceramic Heavy Duty DUAL DISC Clutch and Flywheel kit from South Bend Clutch fits 2005.5-2018 Dodge Cummins 5.9/6.7L diesel trucks with the G56 6-speed manual transmission. Rated for up to 650hp and 1300 lbs-ft of torque. Comes with upgraded hydraulics. Not recommended for stock applications.